Here at Paw-radise, we believe that every dog is unique and that each has their own special needs. Our goal is to provide a safe, relaxing atmosphere to all our guests, including owners. From puppy to senior, we make sure that our dog guest's journey is memorable and stress free. Puppy's first cut can be very stressful and our goal is for them to view grooming as a positive experience. Our senior friends are special as well. This is why we are dedicated to listening to their needs without rushing them up. We are only using the best all natural shampoo and conditioner that you can find on the market. 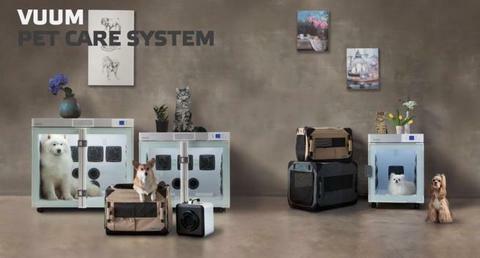 Ask us about our different line that we offer or simply let us judge what is the best for your dog's coat. -Pet Care Room is equipped with at least one ionizer that removes pet dander, dust, bacteria and other allergens from the air. -Spa-like treatment including aroma therapy, ionizing,and oxygen therapy. 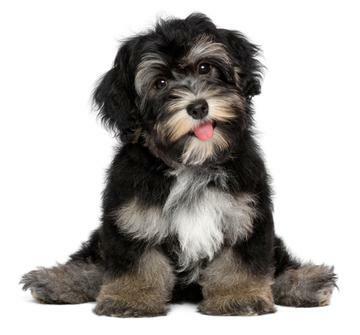 Your puppy first grooming experience is VITAL. Why and what we do differently? We introduce the puppy to nails clipping & grinding, gentle ears cleaning, teeth brushing,shaving pads, bath, gentle blow dry, sanitary & face trim. At what age should they start? BIG NO NO!! My puppy is getting matted, no big deal, just shave him/her!!!!! This is a traumatic first or second way to start your furry baby. Do not let this happen! 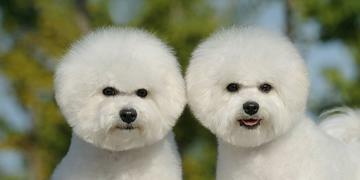 Each breed is different and our professional dog groomer can recommend a style according the AKC breed or be creative. Owner suggestions are also welcome. Two shampoo following up of a conditioner. 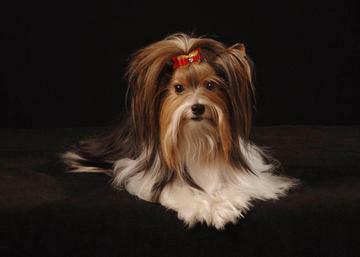 Haircut according to the breed or owner standard. $20.00 addition to any grooming/bath prices. 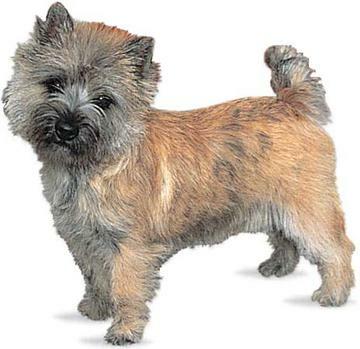 The technique of hand-stripping a terrier coat keeps the coat coarse and the color vibrant. Does it hurt? No. It does not hurt the dog. Some might not like it, but it is not painful when done properly. Wire hair is not attached like our own hair or breeds with other types of coats. Many dogs even enjoy it. For pet dogs I do clip or scissor the tender spots so it isn’t uncomfortable for them. Hand stripping involves pulling out the dead outer coat of wired-haired or “rough-coated” breeds by hand, rather than cutting the hair with clippers. This allows a new “harsh” wire coat to grow in. 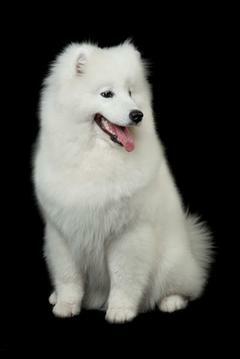 Double coated breed refer to the animals that, like Huskies, Samoyed, Pomeranian,,,have two layers of fur. 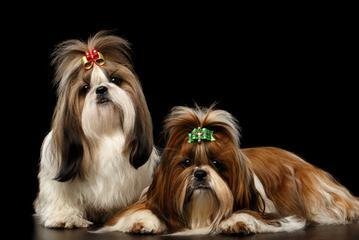 The first, or undercoat, are the fine, fluffy hairs that are short and crimp (closest to the skin). It's the fur that sheds; light and soft. This layer is excellent at trapping air and insulating the dog. Essentially it keeps them warm in the winter, and cool in the summer. 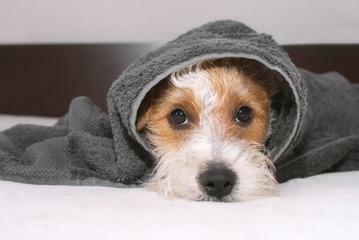 The topcoat is made up of tougher guard hairs that don’t shed, and protect your pet from the sun’s harmful rays and bug bites. It actually insulates them from the heat. What this means is: do not shave your double coated dog. Ask us about a deshedding treatment instead! In conclusion, when you shave a double coated dog, you may irreparably impair their ability to properly heat/cool themselves and protect their skin. The best way to keep this kind of dog cool and comfortable is to regularly bathe, fluff dried and brush them. The only reason a person might need to shave their double coated dog is if the hair is so matted, it's the only option. 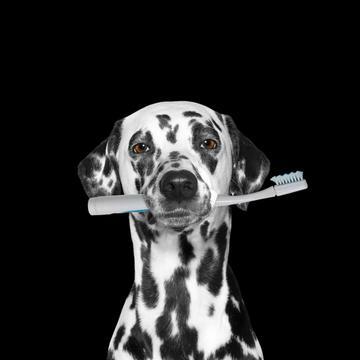 In order to be able to groom your beloved friend, a proof of their vaccination is required for safety. 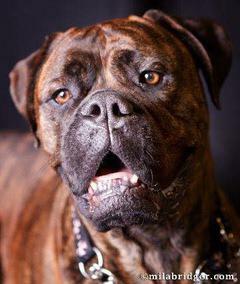 We understand that some pet can't receive it due to illness or age. Vet letter is needed in that case and we will be able to offer grooming service only and will not let the animal in contact with others. We appreciate your understanding.